Overview Work Safe. Live Well. We have created a new supplier development programme, Kick Start, in conjunction with Bord Bia, to give Irish suppliers the chance to showcase their products in our stores all across the country. This programme is designed to help small and medium Irish food and drink businesses that need support in growing their brand and building their supply network. We invited each of our Kick Start suppliers to attend a series of comprehensive seminars, led by our team of experts to talk about important topics such quality control, packaging, marketing & PR building to help them to develop their businesses. Each of these products can be found on shelves in all 153 Lidl stores across Ireland from Monday, September 11th, as part of our limited edition “Best of Ireland” promotion. 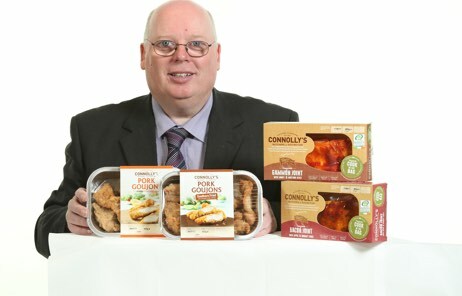 Established in 1924 the family business, Connolly Meats, has two generations of the Connolly family working under one roof to produce the finest Irish pork. Based on generations of knowledge, Connolly Meats are committed to ensuring that traditional values and flavours of days gone by are carefully incorporated with today’s advancements in technology to create these quality products. Since the young age of 13 Barry John has been making sausages in the family run butchers in Cavan town. Barry John’s Gourmet Sausages are known for their sumptuous, sizzling & quirky flavours. To date he has created over 30 flavours, including the European and National Award Winning Chocolate Chip & Honeycomb variety. 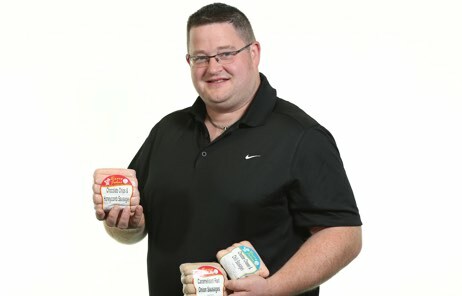 This year Barry John also won the Guinness World Record for the most hand-linked sausages within 60 seconds – an impressive 78 to be exact. All of Barry John’s sausages are made with their traditional family recipe with a twist of original and tasty flavours using 75% pork meat and natural, locally sourced produce and flavours where possible. 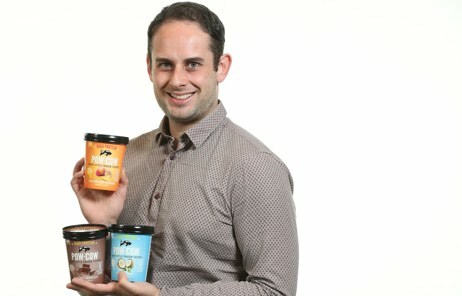 Irish dietitian turned entrepreneur Niall Moloney has found a way to combine the yumminess of a frozen dessert with the nutrient-density that can be found in strained Greek yogurt to create the perfect storm of amazing taste and great nutrition. A registered dietitian with a postgraduate in sports and exercise nutrition, Niall found that people had a desire for a healthy frozen dessert or treat, but the options were limited! An avid ice cream lover, Niall set himself a challenge to create a great tasting alternative. Made from natural Greek Style strained yogurt, Pow Cow delivers the rich and creamy experience of traditional ice-cream or frozen yogurt while also punching above its weight in terms of nutritional benefits. A great source of natural protein, Pow Cow is also low in fat with 80 per cent less sugar than ice-cream and is packed full of probiotics. Oh…and it’s gluten free. Black Donkey Brewing Ltd. was established in 2014 by husband and wife Richard and Michaela Siberry. Richard, a keen home brewer and Michaela, an engineer with a design background set about establishing Black Donkey Brewing as a brewery with a difference. Employing traditional, all natural techniques, and using the finest ingredients, Sheep Stealer, Ireland’s original farmhouse ale, was launched in August 2014. Following on from the success of their first product, Buck It Amber Ale was launched in Winter 2015. 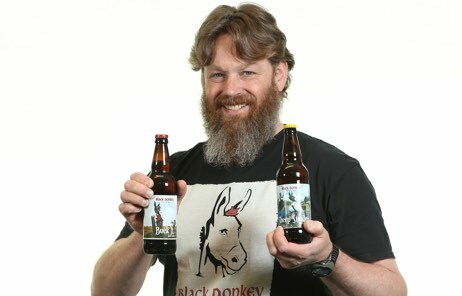 Black Donkey Brewing already export to the US and a number of EU countries and are keen to build their reputation and presence in the Irish market. 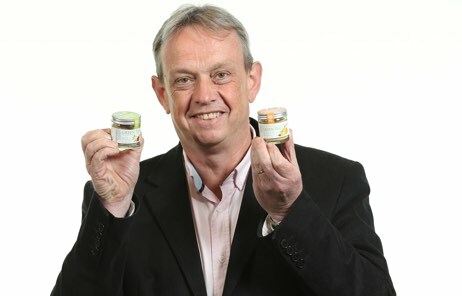 Irish herbalist Sean McCarthy, has taken his years of experience and combined modern food technology with the perfect blend of ancient and natural, non-gmo ingredients, that make a great tasting cup of hot tea or a refreshing cold water drink. Sean’s powdered green tea is packed full of antioxidants and lots of flavour such as ginseng, lemon, cardamom and orange which is said to augment the benefits of green tea. Did you know that as well as having benefits for a healthy heart, body and mind green tea is also great for the skin. © Lidl 2019. All rights reserved.